So I was never really a fan of the band. Yeah I grooved along with a few of the hit singles but never dove really deeply. I picked up Maurice White's memoirs last week. I gotta give him his props on what he accomplished and the band must have my total respect. The uplifting spiritual vibe was like nothing else in music. I also find it ironic that as much as he championed clean living, diet, all of that. He got sick and is no longer with us. It's all a total crap shoot. That being said, I'm finding that I can only get to 'em in small bits. After a while I grow tired of the sound. I get bored with it. It comes off as somewhat formulatic, like it's designed to hit pop. I know it's a musically rich stew, but for some reason it hits me more as "product" after repeated listenings. Although the story of White and his band makes for an incredible read, I find Clinton and PF a much more compelling and challenging listen. All the bands you mentioned are great in their own right and they balanced each other very well. I think you need to listen again, I love Rotary Connection but I think Charles Stepney made his best production when he produced those EWF albums prior to his passing. Earth Wind and Fire music is timeless.Their music is an intriguing mix of funk,R&B,pop,jazz,along with African and Latin influences.The messages in their music are so uplifting and spiritual....makes you feel good! It’s nearly impossible to pick a favorite EW&F album but I would say that ‘All N’All’ is truly one of their most inspired and most interesting albums. Maurice’s book was so good,I didn’t want it to end! I enjoyed reading his thoughts and memories.One of the best autobiographies that I ever read. Yes the book was something else, I literally could....not...put...it...down. I finished that mugg in two days. The stuff he overcame to bring this group to fruition and to the world is amazing. I'm going to keep trying to crack the grooves. So far I am partial to everything Up thru 1977. After that it starts to wane on me although I really dig the Faces LP. I read Philip's book first. It was interesting getting both perspectives. Maurice seemed to open up his mind to me more. I finally "got it" about what the band was about. 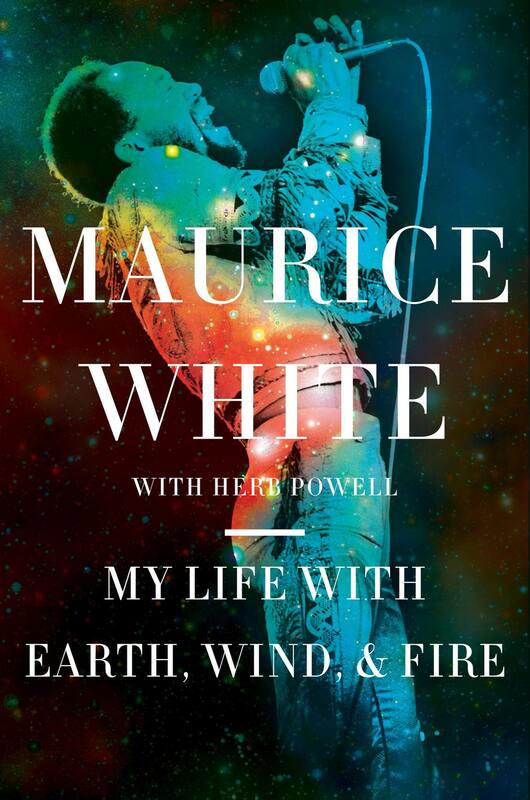 Note to self...add Maurice White's book to your summer reading list. That is all. I've been a huge fan of EW&F since the '70s and remain one. I didn't their later work as compelling but I still listen to their classic albums on a regular basis. ^^ to those of you who haven’t read Maurice’s book,order a copy NOW! The book is excellent!! I highly recommend it. 'The Best of Earth Wind & Fire, Vol. 1' was a one of a handful of albums my aunt who pretty much raised me would play all the time starting when I was a toddler. First the 8-track. When that got eaten by the player, the LP...then the cassette. She never would upgrade to CDs. Now I have it in mp3 format. I've added a few personal favorite EWF tracks and essential hits to my playlist that precede and proceed that 1978 compilation but the core tracklisting remains unchanged. She's gone but I can't not listen to EWF and not get emotional. Sidenote... On the latest episode of his podcast (the one featuring Greg Phillinganes), Questlove voices his suspicions that EWF (or at least some key member(s)) did not play on the actual studio recordings. it broke my heart to buy albums like "Electric Universe", and "Heritage", and "Powerlight"
I actually like alot of their 80s work I think Powerlight was a weak album overall,but at least it had two great singles ("Fall In Love With Me" and "Side By Side"). I even like Electric Universe it was a bold new sound for EW&F,which I think they needed at that point.In his book,Maurice said "By 1983,I was getting bored with R&B".He mentions a few songs by other artists that he liked at the time (Thomas Dolby's "She Blinded Me With Science" was one of them).I can understand the need to branch out and try something new.Songs like "Magnetic","Touch",and the ballads "We're Living In Our Own Time" and "Could It Be Right" are top-notch,imo. I was also very impressed with their 1987 comeback album Touch The World.There's not a bad song on it.Their classic sound is updated nicely on this album.If only they had used this same formula for Heritage instead of jumping into New Jack Swing territory.Still,even that album has a handful of decent tracks. I love the April 6,1974 California Jam performance.This was a year before their 1975 breakthrough....they were on their way. "Getaway" has always been a special song to me.I was a kid when this came out and it reminds me of those wonderful,lazy Saturdays in the 70s a time when funk was king,lol....it's a song that truly sounds like 1976,if you know what I mean.It captures the excitement and vibe of that era. Wow this thread is giving me some great stuff. What actually started me down this road was funknstuff's recent excellent 3 part interview with Larry Dunn on YouTube. EW&F - THE greatest Funk band, ever! Period! Prince is one of the very few artists who managed to make compelling and challenging music and be commercially succesful at the same time. Gratitude has got to be one of the greatest 'live' albums of all time.....just incredible!